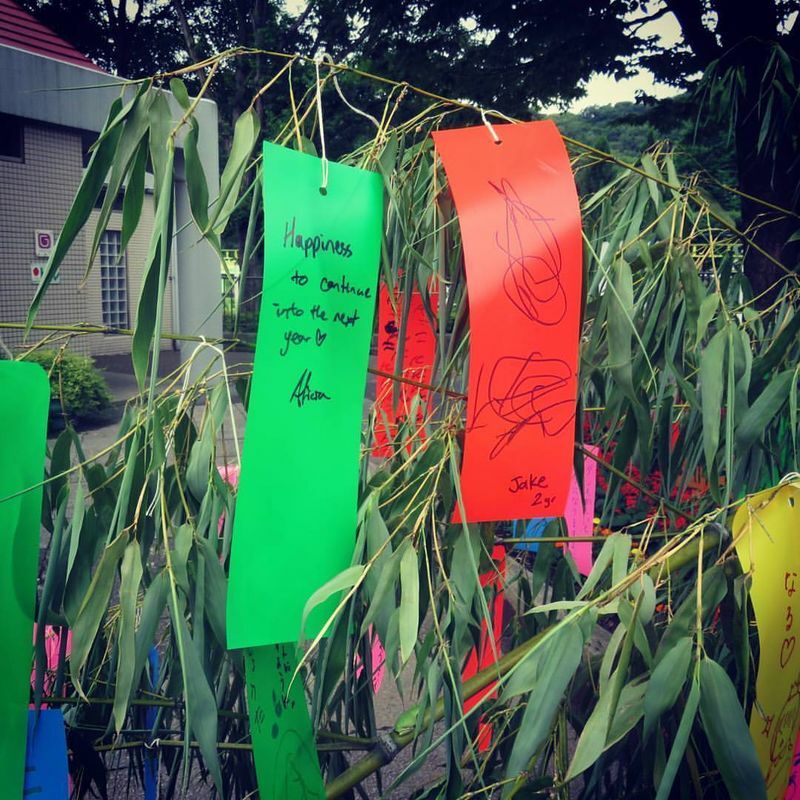 I love Tanabata, the star festival. It is pretty clear when I talked about it here. Maybe it is because I am forever a kid at heart and love the hopeful feeling of looking toward the future knowing anything is possible. It also is probably because I am secretly a hopeless romantic as well. Many of us are like this and that is also probably why this festival and its story have lasted for so long. Originating in China, the story of the star-crossed lovers has deeply rooted itself both here and in Korea with their own version of the festival, Chilseok. Even in China, there are several different versions of the story floating around and some details vary from region to region, the most basic summary of all of them is about a boy and a girl who are in love but are forbidden to meet except one day out of the year. On that fated day, the lovers would cross the river separating them on a bridge of magpie. In the Japanese version, the lovers are Orihime, the weaver princess, and Hikoboshi, a herder boy the Orihime's father, the sky king, set her up with. Their love distracts them so much they begin to shirk their responsibilities and the sky king becomes angered. They are forbidden to see each other except one day out of the year, the seventh day of the seventh month when the blackbirds come to help them. If it rains on that day then they would have to wait another year for another chance to meet. Their bittersweet reunion is what makes everyone hopeful for a union of their own with whatever it is they desire. Just like the two lovers, everyone works hard all year in hopes that for one day they can have their wishes granted. If you follow the Gregorian calendar like most western countries, that would be in July, but Japan didn't always follow this calendar. instead, like the traditional Chinese calendar that follows the movements of the moon, the date for the festival falls in August. This means some towns in Japan still haven't celebrated Tanabated and you might still have a chance to have your wish granted. I love Tanabata too!! :) I love writing my wish and putting it up! @ReishiiTravels It is fun to be hopeful and wish for anything!